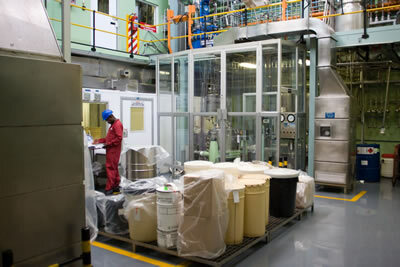 The production facilities at Fine Chemicals Corporation (FCC) are divided into 10 production buildings, each of which is managed by a Production Supervisor. The total production processing area under roof inclusive of mezzanines amounts to 6965m2. The raw materials and finished goods stores comprise a further 3388m2. The total site area is 2,7ha/27000m2. The production facilities operate on a three-shift basis dependent on current demand. The firm observes twelve public holidays per annum and traditionally closes for an annual shutdown of approximately three weeks during December and January to enable staff to benefit from the continuous statutory vacation period of fifteen working days. A comprehensive, ongoing health, safety and environmental programme has been structured to ensure the safety of employees and compliance with the recent changes in the relevant legislation. Where justified by volume, some production buildings are dedicated to the manufacture of a single product or product range for the domestic market eg Narcotics. Most other buildings contain multipurpose production plant that provides a high level of flexibility. The production facilities are located in buildings of brick and steel construction. Cement floors are coated with acid resistant epoxy cement resin. Walls in process areas are plastered to a smooth finish and painted with an acrylic paint. Epoxy paint is used in finishing areas. All service lines and electrical cables are housed in bulkheads and sheet-metal trunking, respectively. 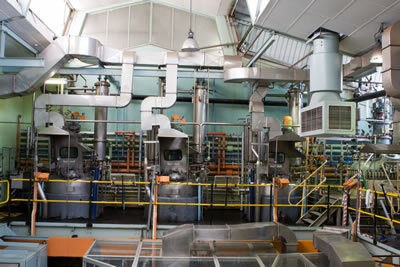 Reaction vessels, heat exchangers and tanks are generally located above floor level on structural mezzanines, while filters, pumps and centrifuges are located below the mezzanines at floor level. Drying, granulating, milling, blending, micronising and packaging are carried out in separate areas. A large range of instrumentation is utilised for critical process parameter measurement and control purposes in the plant. In this regard, FCC has a dedicated metrology section that runs a comprehensive critical instrument programme to assure their accuracy for use. Affected instruments are routinely checked and calibrated according to ISO/IEC standards. 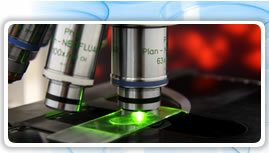 The calibration standards used are traceable to both national and international standards. The production facilities have been upgraded to further enhance the production operation and to eliminate potential contamination and cross contamination concerns. Capital improvements have been made to centrifuge enclosures, general plant air inflow and extract systems, and finishing room air handling systems. These areas, as well as the airlocks, meet the class 100 000 air cleanliness standard. The validated purified water system consists of a single-path-reverse osmosis unit coupled to a continuous deioniser facility followed by UV treatment. Bulk Purified Water is stored in a stainless steel tank and is then circulated to the points of use via a continuous stainless steel loop fitted with sanitary diaphragm valves. The system may be sanitised both by chemical means and with heated water. Chemical, microbiological and endotoxin monitoring takes place to ensure compliance with USP requirements.